Coordination baton at the SA-GER CDR in new hands! Ina Conradie, who has been working as the coordinator for the South African-German Centre for Development Research at UWC/Cape Town since the opening in 2008, is now leaving the Centre in order to focus on research as a post doc at UWC. We wish to thank Ina Conradie very, VERY much for the great job she has been doing during these 7 years, for her great contribution as a team worker and her commitment. Ina, it was a pleasure to work with you! We wish you all the very best for your future career and are sure that you will stay in touch with the Centre!!! She passed the coordination baton to Grace Nkomo, who has been studying the Honours and MA in Development Studies at ISD and was the director of an NGO, helping children to deal with and prevent HIV and Child abuse, before. Out of 243 applicants for the Master and 112 applicants for the PhD Programs offered at the SA-GER CDR, 4 Master students and 2 PhD students were selected in 2014 to commence their studies in January 2015. Davison Muchadenyika, who already did his Master Degree with the Centre, is now studying the PhD in Public Policy, whereas Rejoice Mabhena is studying the PhD in Development Studies. 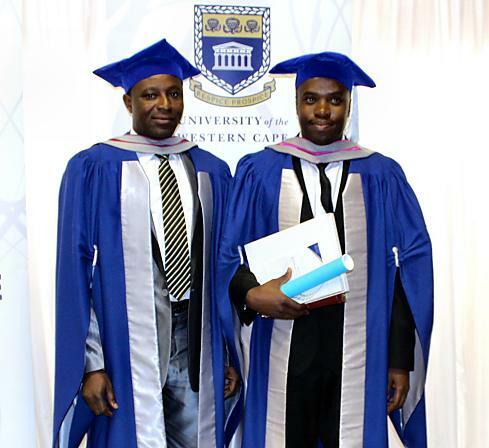 For the MA in Development Studies Maphelo Batyi, Kenechukwu Ibebuako and Christopher Katete commenced their studies. Muriel Adarkwa started studying the MA in Public Administration. 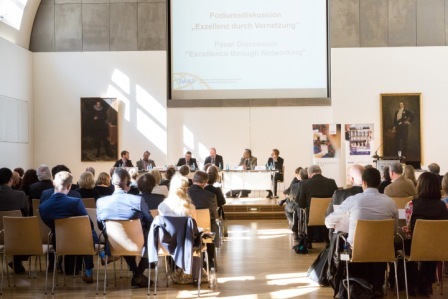 DAAD Symposium "Excellence through Networking"
From 27th – 28th of April 2015 Dr. Gabriele Bäcker, Britta Niklas (both IEE/RUB), Julian May and Christopher Tapscott (both ISD/UWC) took part in the DAAD Symposium "Excellence through Networking" - Centres of Excellence and Centres of African Excellence as Examples of International University Cooperation at the Justus Liebig University Gießen. After the Welcome Address by Prof. Dr Joybrato Mukherjee, President of the Justus Liebig University Gießen and DAAD Vice President, the Centres of Excellence and Centres of African Excellence presented Posters in order to inform about their respective programs. During the second day the participants took part in workshops and panel discussions, dealing with issues like "International and Intercultural Research Cooperation" or "the Further Development of the Centres of Excellence and Centres of African Excellence Model". For IEE and ISD it was a great opportunity to spend some time with the network partners, to exchange experiences with other Centres and to discuss future joint research activities. DAAD PhD student Davison Muchadenyika published one chapter on "Devolution and Constitution making in Zimbabwe" (Pages 104-134) in the book "Constitution-Building in Africa", published by the Community Law Centre at the University of the Western Cape. Dr Kennedy Alatinga, one of our former DAAD scholarship holders, published his paper "Community Perceptions on the Provision of Quality Health Care in Ghana: The Case of Kassena- Nankana Mutual Health Insurance Scheme" in the Ghana Journal of Development Studies (GJDS), a UWC accredited journal. The article can be accessed here. Joyce Njeri Marangu from Kenya and Clement Mensah from Ghana graduated from the MA in Development Studies of UWC on 19 September 2014. Congratulations to both of you! Both have now been awarded their second Master degree after completion of RUB's MA in Development Management in December 2013. Congratulations to Dr. Alatinga and Dr. Serwajja! 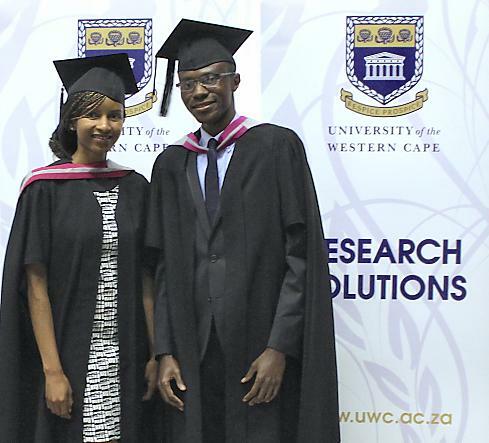 Kennedy Alatinga from Ghana and Eria Serwajja from Uganda, both scholarship holders of the South African - German Centre for Development Research, have been awarded their PhDs. Congratulations to both of you! Kenndy Alatinga worked on "Health Insurance in Ghana: The challenge of including the poor", while Eria Serwajja's thesis was on "Examining the Land Questions in Resettelement: A Case of Post-Conflict Northern Uganda". 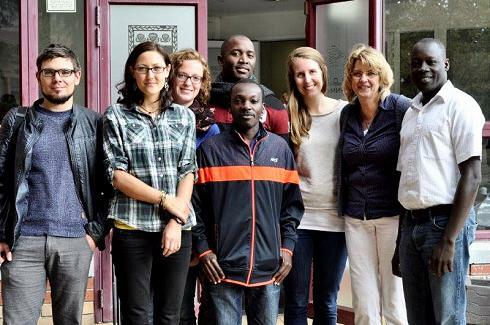 Dr. Samson Lembani, who graduated from the PhD in International Development Studies has been awarded a DAAD Postdoctoral Fellowship at the South African - German Centre for Development Research. For a period of at least one year, Samson will support CDR in research and teaching activities. Callistus Agbaam, Alumni of Ruhr University's MA in Development Management at the South African - German Centre for Development Research, together with Mulugeta F. Dinbabo, staff member of the centre, published an article on "Social Grants and Poverty Reduction at the Household Level: Empirical Evidence from Ghana" in the Journal of Social Science. The article can be downloaded here. 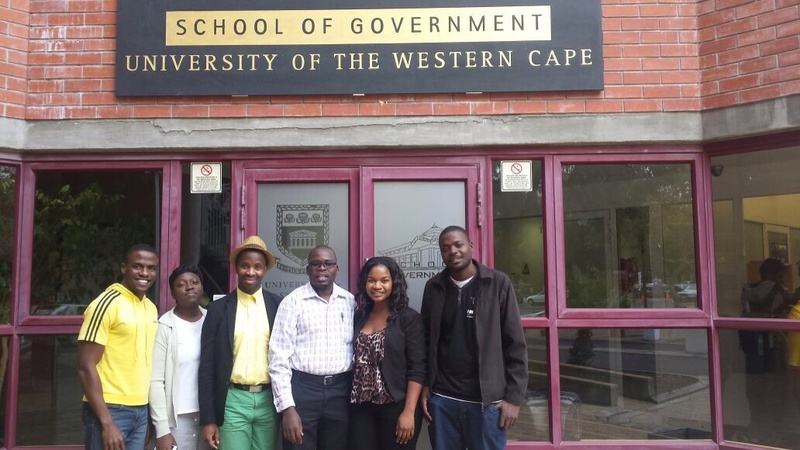 11 students from 9 different countries of the world take part in the 2014 Bochum Programme of Development Management at the University of the Western Cape in Cape Town. Welcome and good luck!